We understand how busy life can be and want to provide parents like you with a convenient, delicious and healthy alternative to making lunches at home. We serve lunches that You will select from our menu with your child's favorite foods in mind. ​ You can place orders at your convenience using our easy, online ordering system and You can schedule lunch deliveries daily, weekly or monthly from your home. And if you need us in a pinch, You can order your lunch up until 11:55 pm the night before. 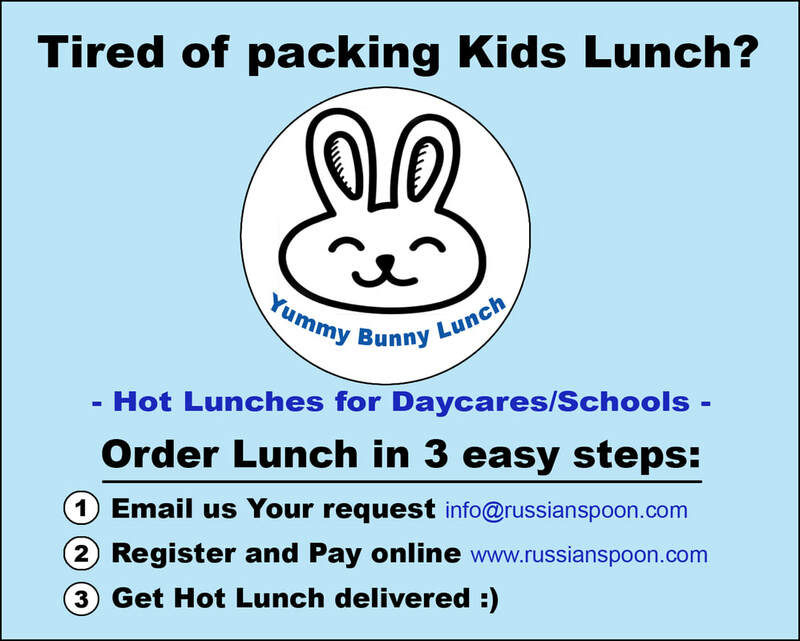 ​Delivery to New Westminster + Some Burnaby area (from Russian Spoon 15 min driving radius). SCHOOL Lunch for Kids 6-12 years old ($8.45) - Selected Soup ​240 ml with Bread, Selected Meal 470 g, Selected Snack 100 g, Selected 340 ml beverage. Delivery to New Westminster + Some Burnaby area (from Russian Spoon 15 min driving radius). - Selected Meal from our adult combos + Any drink. 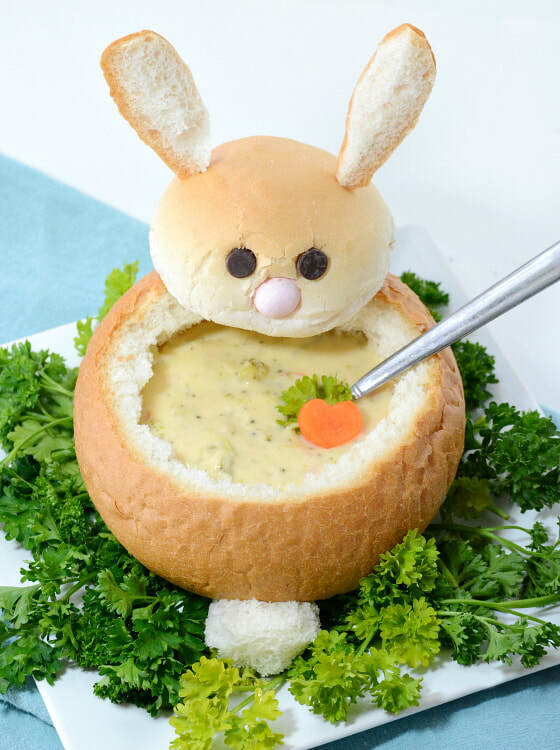 At Yummy Bunny Lunch we make healthy meals that contain high fiber fruits, vegetables and whole grains, lean meats and low sodium, low fat options. This means that each day, your child will receive a delicious, fresh meal without the use of additives or preservatives. Our ingredients and suppliers are locally sourced and all our meals are prepared daily from scratch​ in our completely Nut Free commercial kitchen.